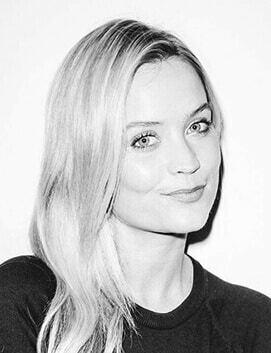 Laura Whitmore is one of the UK’s most recognisable television presenters. After gaining a degree in journalism and editing her student magazine at Dublin City University, Laura began her career in media as a researched on Irish national radio station, Newstalk. Yet it was her entry in MTV Network’s Europe Campaign, ‘Pick Me MTV’, which kick started Laura’s career in front of the camera in 2008. Beating 3000 other hopefuls, Laura won the coveted MTV News role on the international music station. Hosting news bulletins for MTV in Ireland, UK and pan-European MTV channels, she also reported from some of the biggest music and film festivals around the world, interviewing names such as Coldplay, Sir Michael Caine, Robert Downey Jr and Justin Bieber. 2011 saw Laura take over from Caroline Flack on ITV2’s prime-time series, ‘I’m A Celebrity Get Me Out of Here Now!’. Alongside co-hosts Joe Swash and Russell Kane, Laura anchored the series for five consecutive years. The Olympic year of 2012 saw Laura selected to carry the Olympic Torch, and host The Beat with Dave Berry and Darren McMullen, which was broadcast live each night throughout the Olympics. This was also the first year Whitmore fronted the Brits coverage for ITV2, which she has now hosted for five years. 2013 saw Laura branch into fashion, as she was signed to the Special Bookings Division at top London modelling agency, Select Models. A year later in 2014, she joined the BBC Eurovision team as a commentator for the semi-finals alongside Scott Mills, and co-hosted the ’11th Irish Film and Television Awards with Simon Delaney’. Whitmore’s interest in fashion was furthered in 2015, with the launch of her first festival inspired jewellery range with Daisy, alongside her catwalk debut in London Fashion Week, walking for Bora Aksu. Laura has taken on a number of commercial roles, having been an ambassador for Ponds, fronting a campaign for Scholl and being an Avon Breast Cancer Crusader. She has also worked with brands including Samsung, Avios, Aussie, Follie Follie and Gallo. 2016 saw Laura host the online coverage for BAFTA sponsor EE, and front ITV1’s ‘The Brits Are Coming’, her first solo hosting role for the channel. Laura also enjoyed a fantastic stint as a contestant on BBC’s ‘Strictly Come Dancing’, putting her dancing to the test! Laura also recently launched her second jewellery collection with Daisy. 2017 will see Laura star in ‘Not Dead Enough’ a new play by bestselling author Peter James. It will have its world premiere at the Orchard Theatre in Dartford in January before touring the UK. Having hosted hosted spin-off shows for I’m A Celebrity and BGT, Laura is an excellent event host. She’s also a regular presenter at music festivals, and a successful model making her the perfect MC for an event.